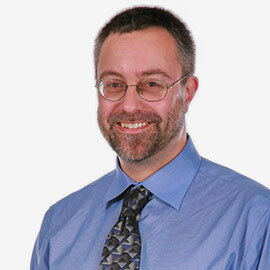 LAURIER RESEARCHER ASKS: HOW DO WE KNOW WHAT IS CLEAN WATER? Clean water matters to Scott Smith, a professor in the Department of Chemistry at Wilfrid Laurier University and Canadian Rivers Institute Associate. Determining levels of contaminants in water, associated environmental risks and mitigation strategies is the work of Smith’s Chemistry Lab for Environmental Aquatic Research (CLEAR). CLEAR lab research is providing an evidence basis for dissolved metal regulatory policies and nutrient removal and the related protection of aquatic environments. His work has involved sampling waterways from across North and South America, including the Northwest Territories and Amazonian basin, as well as across Southern Ontario. “Not only should we work to ensure water sources are protected and know what is in our water sources, but we also have a responsibility to address the quality of waste water that is discharged back into the environment,” said Smith. Water is part of a continuous cycle of use – we take water from sources in the environment, use it and then discharge it back into the environment to be used again. Smith’s lab works on two specific issues related to waterway contamination: metal contamination in water sources and nutrient overabundance in water discharge. Metals in aquatic environments are an environmental concern; however, the extent of the potential negative impact of a given metal, such as copper, cadmium or silver, depends on the molecular form of that metal. Often, metals bound to other substances in the water are less toxic than unbound metals. Smith’s lab uses analytical methods to determine what forms of metal are present at a particular site to determine how much of a harmful effect they may have on animal and plant life. These data allow policy makers and those tasked with cleaning up metal contamination to determine what steps to take to clean up excessive metals at a particular site or waterway. CLEAR’s nutrient-related research involves studies on optimizing phosphorus removal during wastewater treatment. To optimize phosphorus removal it is first necessary to understand the molecular mechanism. This involves the application of geochemical analysis and modelling techniques to understand phosphorus interactions with colloids and surfaces in waste water. More recently, Smith is moving towards not just removing nutrients, but actually capturing nutrients from waste water to reuse them as safe and inexpensive fertilizers. An important step to ensuring that clean water is available to all is improving the capacity for wastewater treatment plants to remove dangerous contaminants from water discharged into rivers and waterways. By determining the mechanism to chemically remove phosphorus from water, Smith has enabled the removal of tons of fertilizer from wastewater and has contributed to a revolution in how engineers design and operate waste water treatment plants for nutrient removal. What is next for Smith? A return trip to the Amazon to compare water composition in different locations throughout the world. In 2017, Smith and his lab members will sample water from the Amazon Basin in Brazil and the Three Gorges region of the Chongqing province in China to understand if toxic levels of contamination are the same in a river in Ontario as in a river in the middle of the jungle.